Driver Distance – Smiley will fly about 20% shorter than your standard drive with a regular ball. Smiley will jump off the driver club face in a similar fashion to that of your standard drive but he will start to lose energy about halfway through his flight. Driver Ball Fight – Smiley flies amazingly straight and you can expect a well struck ball to fly on a similar flight pattern as your standard drive. Most players find that they have more control and hit Smiley much straighter than their regular ball. 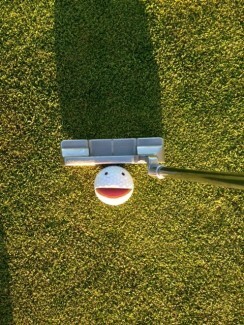 Putting Distances – Smiley will actually roll at a similar speed to that of a regular ball. Putts longer than 20-feet may have to be hit a little harder. Putts over 50-feet can be an adventure if not hit solidly. The key to putting successfully with Smiley is to hit solid putts. 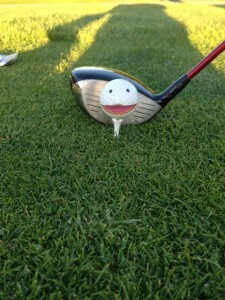 Putting Roll Tendencies – Depending on your stroke, Smiley will have different roll tendencies. For some players Smiley has a tendency to drift right as he loses speed. Solidly struck putts from within 5-feet will have little or no added movement from the putting line. A dead straight 20-foot putt hit with Smiley may have a tendency to move a cup to the right as it slows down. With a little bit of practice on the putting green each player will find their own “roll tendencies”. Note: On putts that have a severe break Smiley may break more than expected. Distances – Smiley will chip with a very similar speed to a regular ball. One big difference is that he may not stop (“Check”) as quickly as a regular ball. 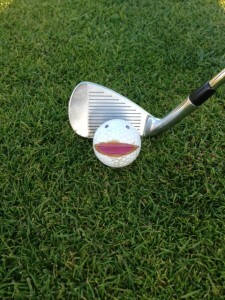 Chipping Roll Tendencies – Depending on your stroke, Smiley will have different roll tendencies. For some players Smiley has a tendency to drift left as he loses speed. Solidly struck chips will stay on line until the ball slows down and loses energy and this is where Smiley may turn left or right depending on your individual “roll tendencies”. With a little bit of practice chipping with Smiley each player will find their own “roll tendencies”. Note: On chips that have a severe break Smiley may break more than expected. Distances – When hitting shots hit from 120-yards and closer Smiley will fly about the same distance as your regular ball. Ball Fight – Smiley flies laser straight off the wedges. 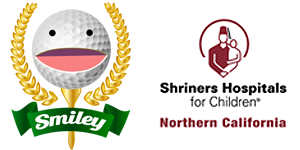 One significant difference between Smiley and a regular ball is that Smiley does not stop on the green as quickly. When hitting a wedge shot you can expect Smiley to hit and check-up but getting a ball to “back-up” is not common (unless the greens are very soft). Most players find that they have more control and hit Smiley much straighter than their regular ball. Distances – When hitting shots from 125-yards through 145-yards Smiley will fly about 5% shorter (about ½ a club shorter) than your standard distances with regular ball. Ball Fight – As with all well executed strikes, Smiley will fly very straight from 125-yards through 145-yards. Depending on wind direction and firmness of the greens, approach shots with Smiley from this distance have a tendency to hit and release about 5-feet further than a regular ball. Distances – When hitting shots from 150-yards through 200-yards Smiley will fly about 10% shorter (about 1 full club a club shorter) than your standard distances with regular ball. Ball Fight – As with all well executed strikes, Smiley will fly very straight from 150-yards through 200-yards. 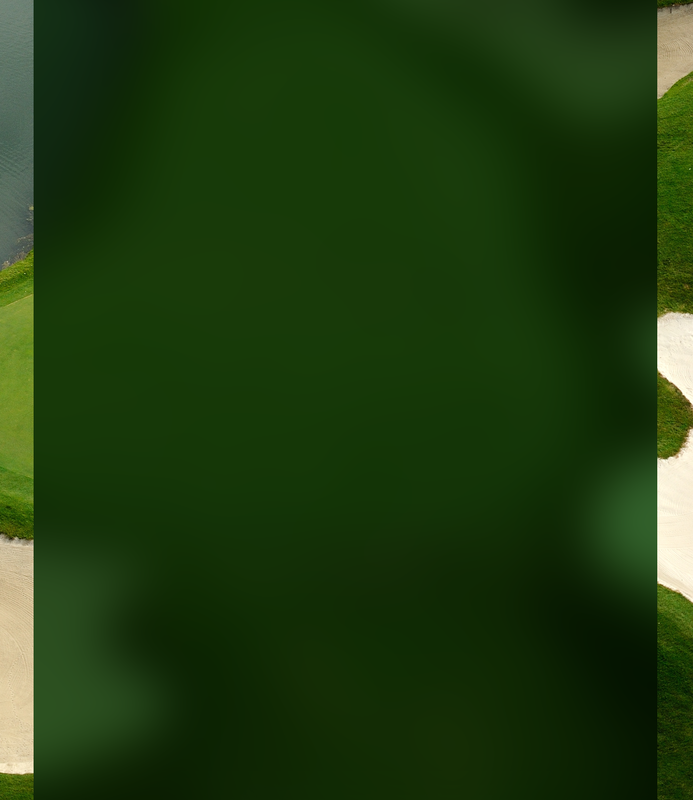 Depending on wind direction and firmness of the greens, approach shots with Smiley from this distance have a tendency to hit and release about twice the distance of a regular ball. Example: if your standard 6-iron hits and rolls 10-feet after it lands on the green then you can expect the same Smiley 6-iron to usually roll 20-feet after hitting the green. Distances – When hitting shots with a 3-Wood and Utility Clubs Smiley will fly about 15% shorter than your standard distances with a regular ball. 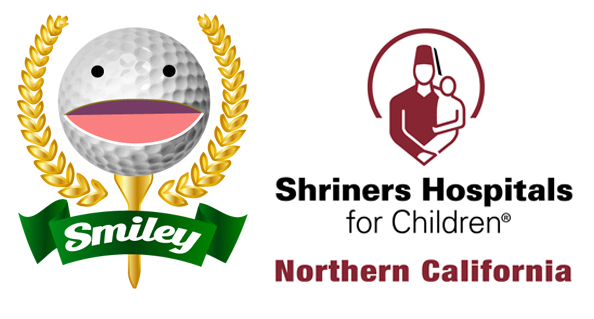 Ball Fight – As with all well executed strikes, Smiley will fly very straight with 3-Wood and Utility Clubs. Depending on wind direction and firmness of the greens, approach shots with Smiley from this distance have a tendency to hit and release about twice the distance of a regular ball.